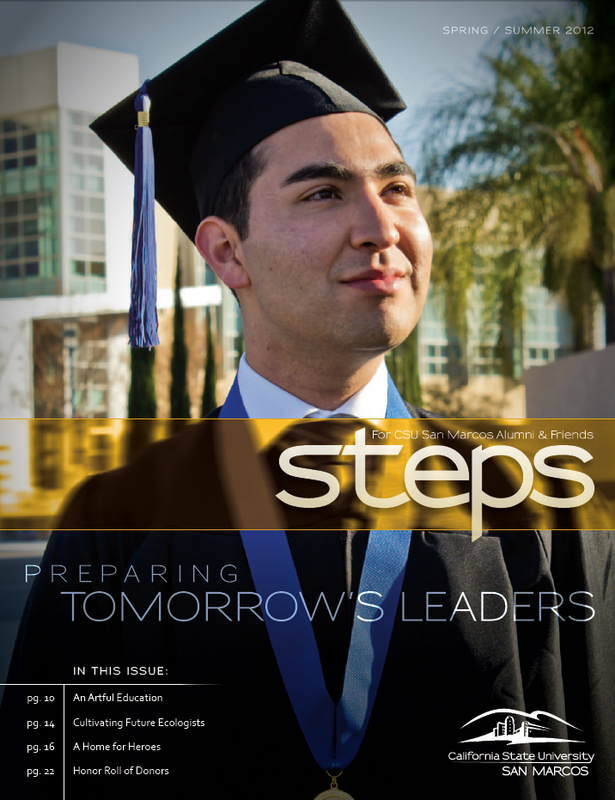 One of my biggest accomplishments this year, other than graduating college, was my photo of Marco Lemus making the Cover of CSUSM’s Steps Magazine. This entry was posted on May 22, 2012 by donovanolson. It was filed under My Photography and was tagged with Cal state san marcos, cover shot, CSUSM, donovan olson, Marco Lemus, San Marcos, STEPS magazine. Hey Donovan, your blog and your portfolio look great! Oh, and congrats on graduating! One question – why is your portfolio a PDF that wants to launch a separate app? (Acrobat Reader) Why not just have your work be live web content? Like in a WordPress “gallery”? Congratulations & keep up the good work!